Mani-facture refers to the altered relationship of the artist’s hand to the process of making when using software-instructed machinery, in this case a CNC Machine. If the hand usually informs an intuitive exchange with materials, here intention, planning, and result are positioned at a precise remove. 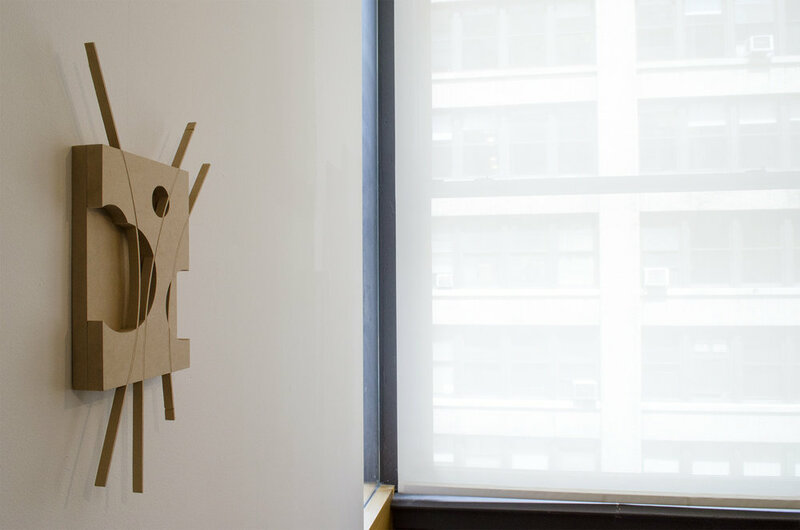 The work incorporates the intentional and unintentional uses of MDF in the Lab by students and staff as a primary material for sculptural drawings. The traced textures, embedded lines, and assembled surfaces suggest an immediacy between idea and mechanized execution.